The Lead Sheet will be relatively narrowly focused this week, which is not a reflection of the quantity or quality of great music popping up all over the Twin Cities. But it’s Jazz Festival Weekend, and writing time is limited! Four words are all you need to know to ensure a jazz-filled and thrilled weekend—Twin Cities Jazz Festival (aka, Hot Summer Jazz Festival). If you made through the storms to one or more of the Jazz Night Out Venues last night, you got a taste of what lies ahead. 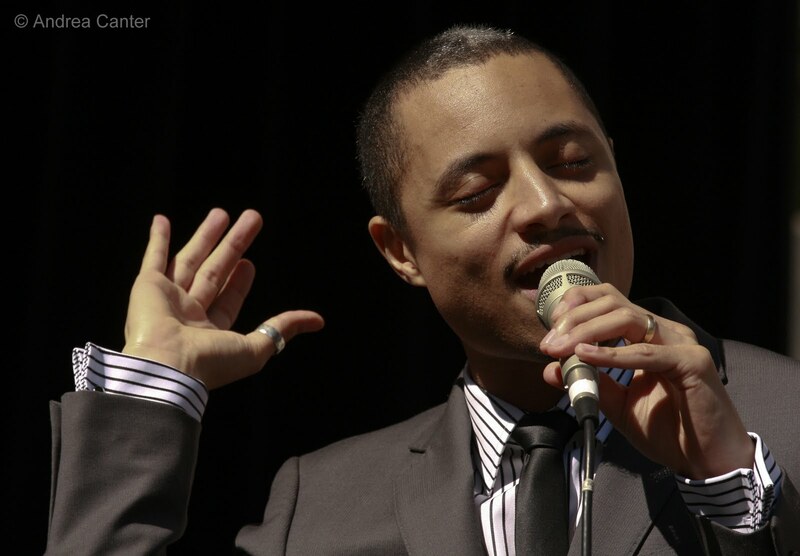 The main events begin today (6/18) at 4 pm at Mears Park in Lowertown St. Paul, with local sextet Story City kicking off on the main stage, paving the way for two of the weekend’s most anticipated bands, Sean Jones’ Quintet (6:00) and Joe Lovano’s Us Five (8:30). 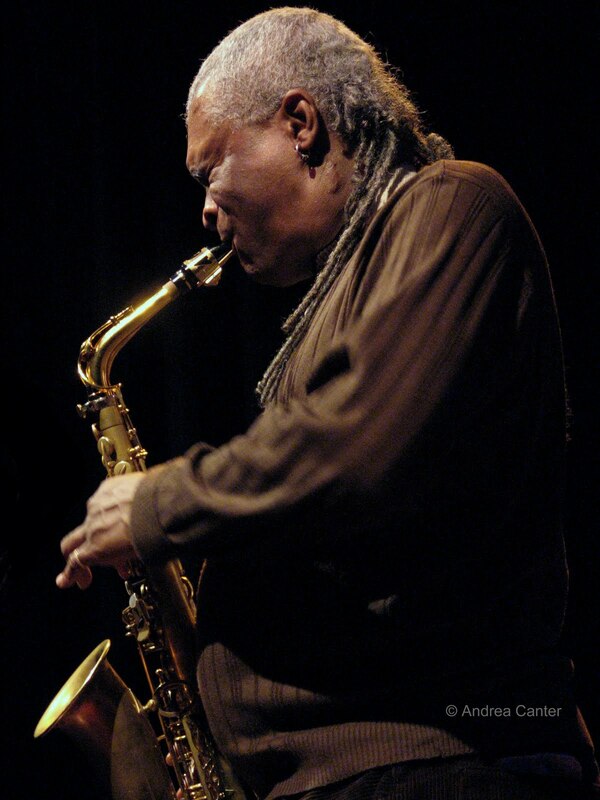 Jones has been here a couple times in the last few years, with his quintet at the Dakota and with Downbeat’s “Rising Stars” ensemble at Orchestra Hall. 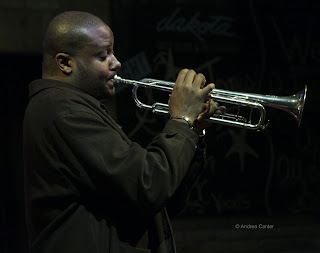 Jones recently relinquished his role as leader of the Jazz at Lincoln Center Orchestra but continues his rise to the top of 21st century trumpeters, and brings together a band of equally boiling young talents. 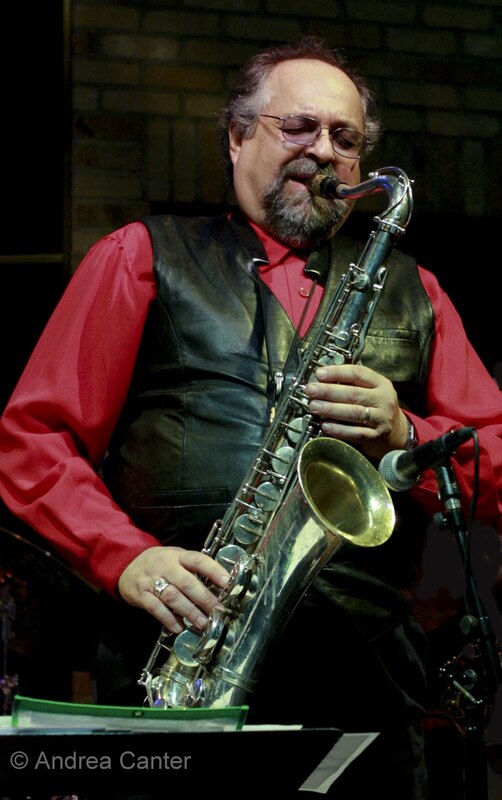 And stick around for tonight’s finale with living legend of tenor sax, Joe Lovano, and one of the hottest bands in modern jazz. Lovano has been at the top of his horn for the past 2 decades but his recordings and live performances have been garnering more and more accolades and awards with every year. His Us Five band released one of 2009’s top recordings, Folk Art, just named record of the year by the Jazz Journalists Association, which also honored Lovano as top tenor of the year. The quintet features a double drum line with Francisco Mela and Otis Brown II; the marvelous James Weidman on piano, and Peter Slavov on bass—Esperanza Spalding has filled the bass chair but is not on this tour. No matter, this is a band to be reckoned with and a rare opportunity to see Lovano in the Twin Cities. Two other highly regarded saxmen are playing tonight on the adjacent Sixth Street Stage, conveniently timed to perform between the main stage sets: Pete Whitman’s X-Tet finally gets to play in a space meant for large ensembles (instead of their usual takeover of part of the AQ’s seating area!). They are followed by young Aakash Mittal and his quartet, in from the Denver area to share some of the most interesting fusion of east and west. Multi-reedist Mittal has been exploring his Indian heritage while continuing to evolve as a post-bop composer, and the result is sort of Charles Lloyd meets Rudresh Mahanthappa in the shadow of John Coltrane. Very cool. He’s also on stage at the Dakota for “Late Night” tomorrow (6/19). Next comes Saturday (6/19), a full day from noon til after dark, spreading from Mears Park across the street to Cray (aka Galtier) Plaza and the Youth Stage. Main Stage events include Bobby Watson, John Ellis’s Double Wide, and the closing blowout with John Scofield and his Piety Street Band. Connie Evingson, Salsa Del Soul, Twin Cities Seven with Charmin Michelle and more take the Sixth Street Stage. The Youth Stage, sponsored by the Dakota Foundation for Jazz Education, boasts bands from middle school through college level, from jazz camps to high school bands to independent ensembles. The Dakota Combo finishes off the evening at 7, while 3 Combo grads will play earlier as BFGS. And it is indoors, cool, dry…. Throughout the weekend, there’s much going on down the block at the Hat Trick Lounge, a nice respite from sun and heat – you can hear Mary Louise Knutson’s trio, Pooch’s Playhouse, the Atlantis Quartet, Frankhouse, Cory Wong and more. The Artists Quarter is again hosting the incomparable pianist Jon Weber on Friday and Saturday nights, a great way to cap off your festival experience. 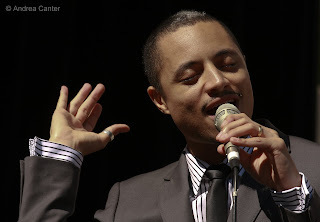 With all attention focused on the festival, be sure to not forget the rest of the week around town, and particularly the triumphant homecoming of Jose James. Jose graduated from Minneapolis South High, gigged with teacher Denny Malmberg at Fireside Pizza, and went on to jazz voice studies at the Manhattan School of Music. We knew he was good. Now the world has noticed as Jose (based in London and New York) has performed and recorded with the likes of Chico Hamilton and has garned raves for his first two R&B tinged recordings. But maybe nothing prepared us for his new release on Impulse, For All We Know, a gorgeous set of duets with pianist Jef Neve. Simply, the most haunting jazz vocal recording I’ve heard in some time, conjuring Johnny Hartman and Joe Williams. Jose performs at the Dakota on June 24th. A few other highlights of the week—trumpeter John Raymond, on summer leave from grad studies in New York, with his Project (including Aaron Hedenstrom, Daniel Duke, Miguel Hurtado and Javier Santiago) for Late Night at the Dakota tonight (6/18); Nichola Miller at Hell’s Kitchen (6/19); Peter Schimke with Chris Bates and Jay Epstein at Café Maude (6/19); Doc Severinsen still going strong with El Ritmo de la vida at the Dakota (6/21-22); pianist Javier Santiago again, with pals at the Artists Quarter (6/23); Maud Hixson at Erte (6/24); Pete Whitman’s X-Tet back at the AQ (6/24).